GHF Blog Hop Giftedness – Why does it matter? Hoagies Gifted Blog Hop Gifted – How? When I returned from the GHF December Blog Hop I found Sprite in a much better mood. 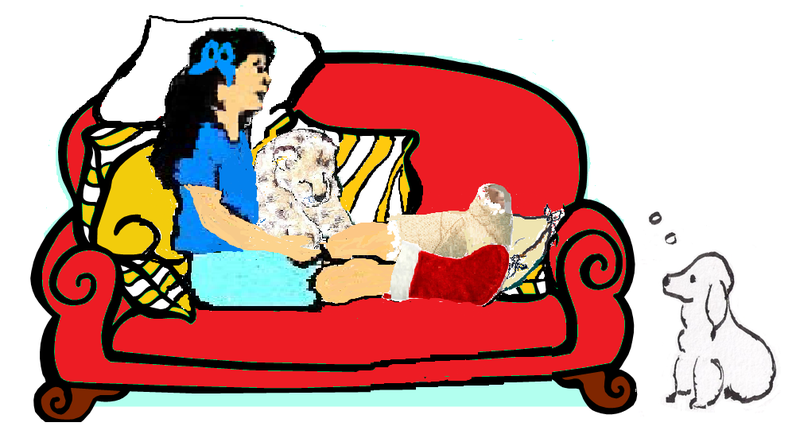 While she was taking her nap the Memory Elephant and the Giraffe had put up the Christmas lights and garlands. 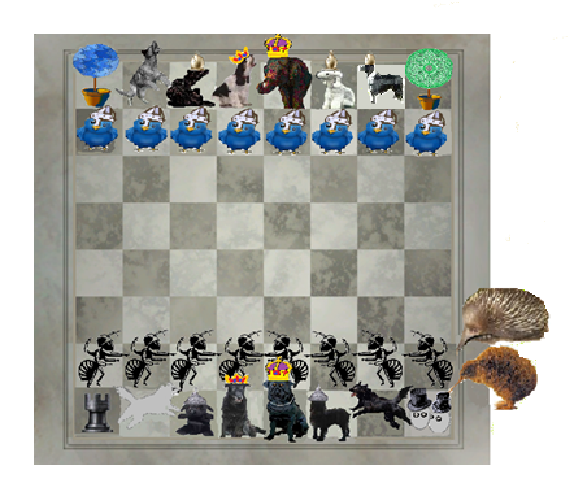 The Dabrowski Dogs had defeated the Black Dogs in the chess match and the only sign of the Black Dogs was the greeting card and apology note on the pinboard. The Dabrowski dogs were also too busy with other things to pester Sprite. Psycho Motor had gone outside to bounce. Intellectual had gone to the library to investigate the background of various holiday traditions. Sensual was having a Lavender Lathers pamper session at the Paws for Poise grooming parlour bus. Emotional and Imaginational had gone to help with the Reading to Dogs program. The Twitter Bird carollers had begun rehearsing for their annual nativity play. Oliver Moremouse and the other mice in the skirting boards were getting ready to celebrate. Ginger Pony had been harnessed and was giving sleigh rides. And the mystery of the vanished Christmas stockings/slippers had been solved. The Dabrowski Dogs had claimed them and hung them up hoping for some extra treats at Christmas time. Everything is feeling lighter to me lately: parenting, homeschooling, even the holiday chaos. When I think back to this time last year, everything was just…well… heavier; life felt more challenging and stressful. What changed? In some respects, everything has changed. I love your blog, Caitie! And so many of your descriptions bring back memories of our children at similar ages and our family life at those times! Thank you for a beautifully written blog. Wishing you all a very blessed and happy Christmas. Yes, I remember being told by a lady who had never met our children that one of them was ‘just saying/doing that to manipulate me’ and at first feeling bad because I thought she was right and then realizing that she was not right at all! Thank you for a great blog, Celi! You need a (holiday) food plan to tackle the candy canes and eggnog. The sheer volume of sugary stuff and food dyes/additives/flavorings is a nightmare for many 2e parents/kids, imho, which is magnified 10x or more during the holidays. Thank you for a great list of suggestions for combating the problems associated with sugar and colouring laden holiday foods. Many children may, when stressed, feel their overexcitabilties “fire up” in response. This can impede the logical, systemic calming down required for someone to address bullying by herself and gain a lasting, powerful sense of self-efficacy in the face of conflict. We need, as parents and educators, to work to help kids manage these OEs before a negative personal encounter. In short, we owe it to them to help develop their social skills in preparation for a negative encounter to build their resilience. We parents may also need to scaffold better socially those children who have OEs that are “off the charts,” managing their exposure to stressful or toxic situations or people and refrain from gaslighting them at the holidays. Thank you, Pamela. I am looking forward to the publication of your book! As Paula says you are giving an in depth approach to a difficult and far reaching topic. Some of the most overwhelming aspects of raising gifted children are all the quirks, idiosyncrasies and discrepancies in abilities. 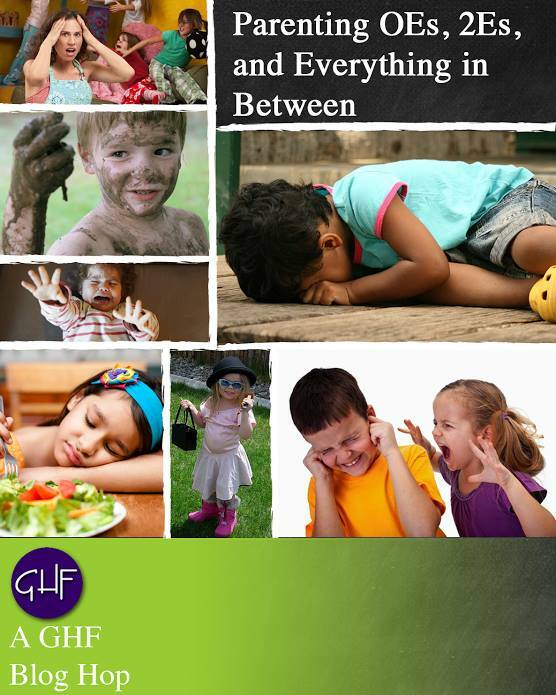 Without a thorough understanding of what overexcitabilities are and how they impact a child’s experience in the world, parents and others close to the child may contemplate attaching a pathological disorder to try and explain away the difficult behaviors and outbursts that unfold in daily life. To contemplate matters more, asynchronicity creates a layer of confusion when a child whose physical age, intellectual age and social-emotional age conflict with his chronological age concurrently and in any given moment. But, let’s not stop there kindred spirits. Until we sprinkle in a heavy dose of perfectionism, we haven’t even touched the surface of how complicated living with gifted children can be. Great post, Amy! A really good clear discussion about the OEs, asynchronous development and perfectionism and how they affect the everyday lives of the gifted. On a regular basis, the members of the family alternate between high levels of emotion, the need to move, and a desire to learn and do everything as often as possible. We each have various levels of sensory comfort and discomfort, and there is no shortage of imagination. It can make life interesting. I really enjoyed reading this post – thank you Nicole! It can be really hard when onlookers just don’t understand asynchronous development and OEs! Thank you for a great blog, Care! What do you do when you’re excruciatingly sensitive, severely intense, outrageously curious, and wildly imaginative and you’re raising a kid who is JUST LIKE YOU? Do you– run away from home? Move to a state where marijuana is legal? Outsource your child to India? Create a reality TV show? I did once write a series of posts about an imaginary reality show The Survivor – Gifted Island game -like a cross between Survivor, Big Brother, The Amazing Race and the show about the camp for badly behaved teenagers. It is played by teams of one parent, one teacher and one gifted or 2E kid. You don’t get voted off the Island – you just have to stay there and survive and everybody gets to watch how you cope and laugh or cry about it. 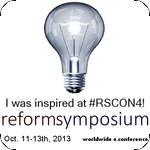 This is a commentary post on the Gifted Homeschoolers Forum December Blog Hop: Parenting OEs, 2Es and everything in between. 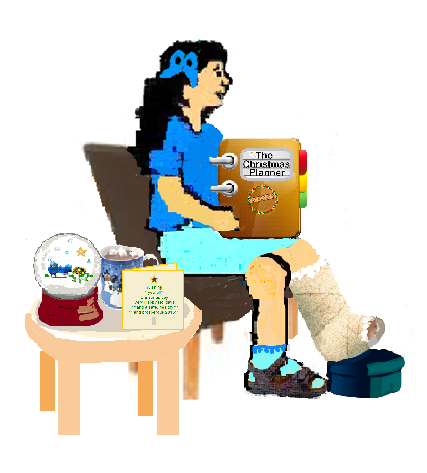 When I suggested going on the GHF December Blog Hop Parenting OEs, 2Es and everything in between Sprite said she could not come with me because she was too tired and she had too much to do. She seemed a bit grumpy and out of sorts. 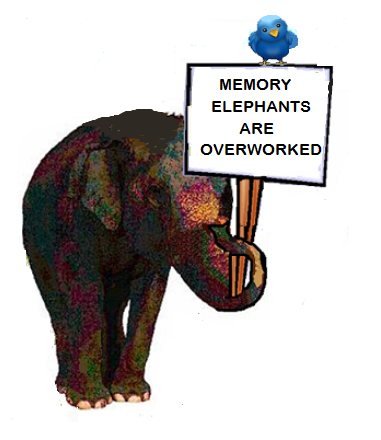 “The Memory Elephant said if he had to remember all that he was going on strike unless he got paid overtime rates. 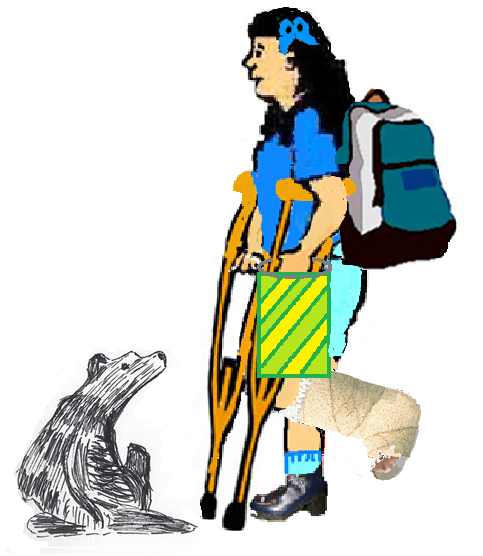 “Going all that way four times made me tired and sore and Wistful Black Dog said I would not have had any problems if I had remembered everything the first time. “I did the H.A.L.T. check and found that I was Hungry – so I had afternoon tea. This is a post for the Gifted Homeschoolers Forum December Blog Hop: Parenting OEs, 2Es and everything in between. The Dabrowski Dogs have played a chess match with the Black Dogs to determine whether the Black Dogs would be permitted to appear in Sprite’s Christmas picture or must be content with sending their apologies and a greeting card. The board was set so that the Dabrowski dogs and Twitter Birds could play against the Black Dogs and Sally-Anne McCormack’s ANTs (Automatic Negative Thoughts) from her books Stomp out the ANTs and Living with ANTs. 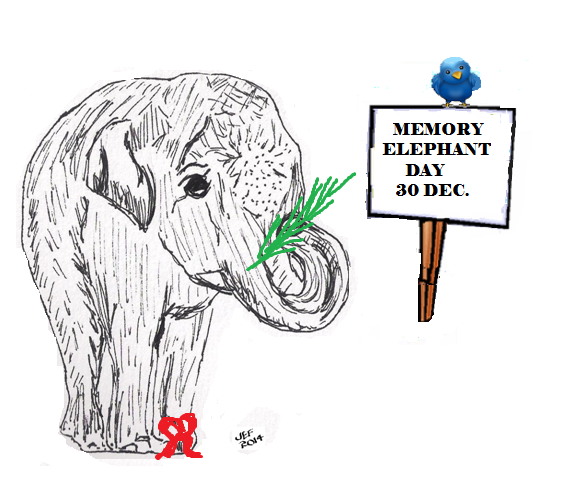 On the White Team the Memory Elephant was the king and Emotional Dabrowski was the Drama Queen. Sensual Dabrowski and Imaginational Dabrowski were the bishops, Psycho Motor Dabrowski and Intellectual Dabrowski were the leaping knights, the Topiary Tessellation Bird Leaf Tree and the Topiary Wheel Tree were the rooks and the Twitter Birds were the pawns. On the Black Team Guard on Duty Black Dog was the king and Wistful was the queen. Thinks He’s an Alien Black Dog and SAD Seasonally Affected Dog were the bishops and Leaping Attack Black Dog and his Shadow were the leaping knights. The ANTs were the pawns. The Pair O Noids were asked to be the rooks but were anxious about being separated so they both acted as one rook and a rook was borrowed from the chess set for the other one. Kiwi and Echidna waited hopefully on the sidelines for any ANTs who were ejected from the game. 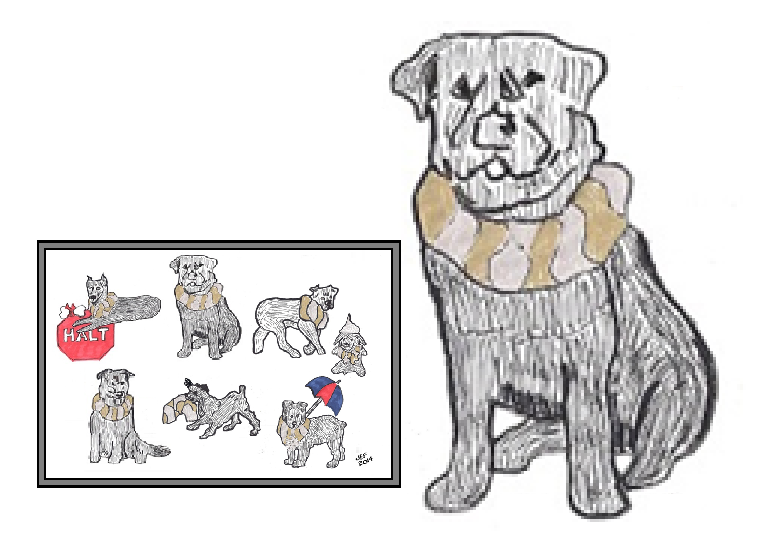 You will probably be pleased to learn that the White team was victorious and Guard on Duty Black Dog has presented a greeting card made from my Inktober portraits of the Black Dogs to be included in the group picture. No Black Dogs will personally attend the group photo session to get an opportunity to put a dampener on the occasion. My friend Judy Murcutt brought me another doll last week. Judy has been helping me to locate materials and work out methods for creating persona dolls. She asked several of her friends who are keen on craft work and has been given new leads. One of them gave Judy a doll frame which had been standing in her garden to scare away possums. She thought I would be able to take it apart and see how it had been put together and she did not want it back. 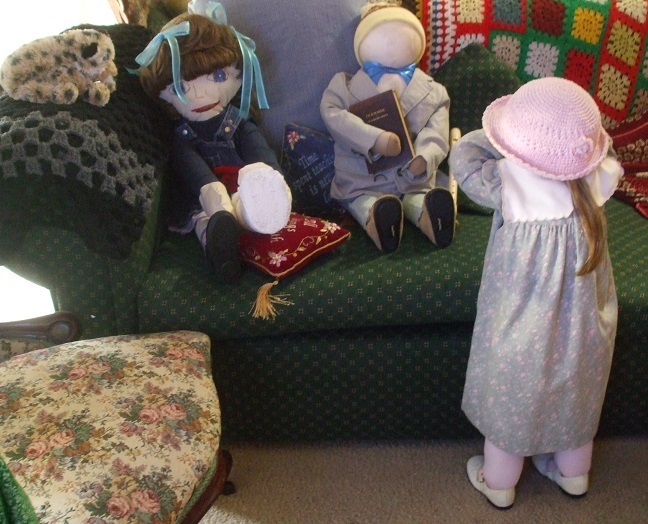 I was able to see how the doll had been put together and have repaired and clothed it and it has become Edward, a sensitive botany and animal loving gifted boy. 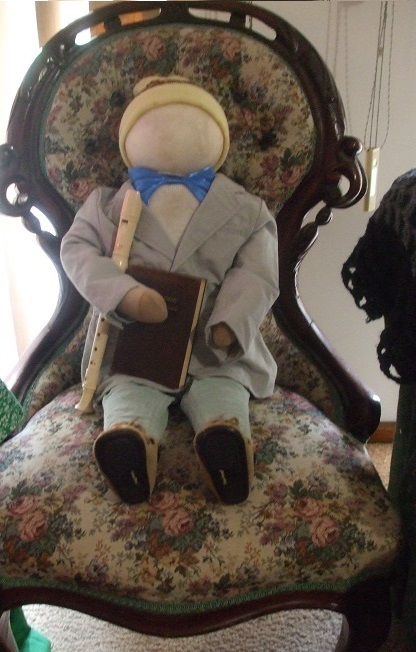 Edward is a little professor who dresses in a rather old fashioned manner, plays the recorder and other instruments and reads classical literature. Although quiet and peace loving he is very interested in knights, Arthurian legend and life in mediaeval times. That is a leather bound copy of Ivanhoe he is clutching. I am having a great deal of fun with these dolls and think there must be a divine purpose behind them because there have been so many amazing coincidences in the finding and making of all of them. I am just waiting to find out where it is all leading and said jokingly that maybe I would end up with a full set of persona dolls representing Betts and Neihart Profiles of the Gifted and Talented. I am half way there. Sprite is definitely an example of the 2E Profile. Felicity is either an example of the Successful Profile or the Underground Profile. And Edward is a prime example of the Autonomous Learner Profile. Edward reads voraciously and can often be seen examining plants and insects with a magnifying glass. He loves science experiments. He is happy in his own skin and pursues his own learning at his own pace in his own distinct manner. It is very appropriate that he is wearing the ‘Do what is most sensible’ Brown Brogues. He would also be comfortable in the Investigative Grey Sneakers. So now I need to create Vincent (Vince) the At Risk Profile graffiti artist, a Creative Profile character and either a Successful Profile or an Underground Profile character. 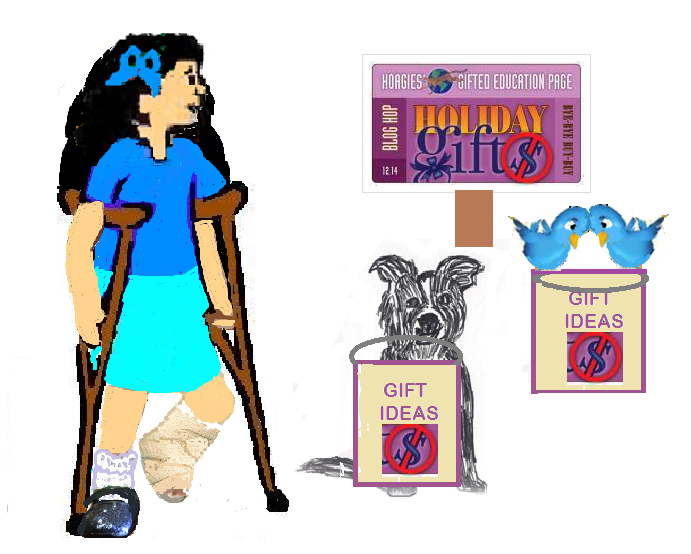 We have returned from the Hoagies December Blog Hop Bye Bye Buy Buy http://www.hoagiesgifted.org/blog_hop_holiday_gifts.htm with lots of great ideas for gifts and activities for the holidays. Intellectual Dabrowski carried the sample bag for Sprite. Here are the posts we visited and the comments we left or tried to leave. Comment: These are great ideas for ways to have fun together as a family and build memorable traditions. I love the idea of Yadnuf day! Comment: I love these wise suggestions! Comment: I loved hearing about your gingerbread house creating. What a great fun family tradition! Comment: Your gift of time to do activities together and visit places of interest sounds like a wonderful way to give a lot of fun during the holidays! Thank you for a great post! Comment: Thank you for a great post – lots of good ideas for gifts and activities that avoid commercialism and seek to produce as little waste as possible! Comment: Thank you for a great post – a very helpful way of thinking about what would be the ideal gift to express your love for the recipient! Comment: Thank you for a thought provoking post! Comment: Love all your ideas and the examples of your family gifts and also the quote from Mother Teresa. We were not able to leave a comment here but enjoyed the post very much. Sprite has received a couple of her gifts already because they are similar to an Advent Calendar in that they help to count down the days and prepare for Christmas. They are gifts for you also, dear reader.